What costs your business more? Is it gaining new customers or keeping existing customers? Of course, some businesses do not have repeat customers. They have a product or service that may only be purchased one time. Most businesses I know could use more customers. Rarely do we come across a business that says “I don’t need any new customers”. That is a great position to be in for a merchant. My guess is that if you reading this page, you may be looking for ways to keep existing customers coming back to your place of business and more than likely… ways to get them to spend more money with your business. Think about your existing shopping and dining expenses. Do you have any of those grocery store loyalty cards? Do you have department store credit cards that pay you cash back or give you special discounts? Have you ever kept one of those punch cards that give you a free item once you purchase five, ten or twenty of the same item? Have you ever used one of the receipts given out by restaurants that allow you to go online and get a coupon or discount? Have you ever signed up for email rewards from a business? All of these are types of customer rewards programs designed to bring you back to the merchant and spend more money. Most of these programs were given to you after you decided to visit the merchant the first time. These rewards programs will probably entice you to go back.. provided you were satisfied with the initial experience. Does your business offer a Customer Rewards Program? 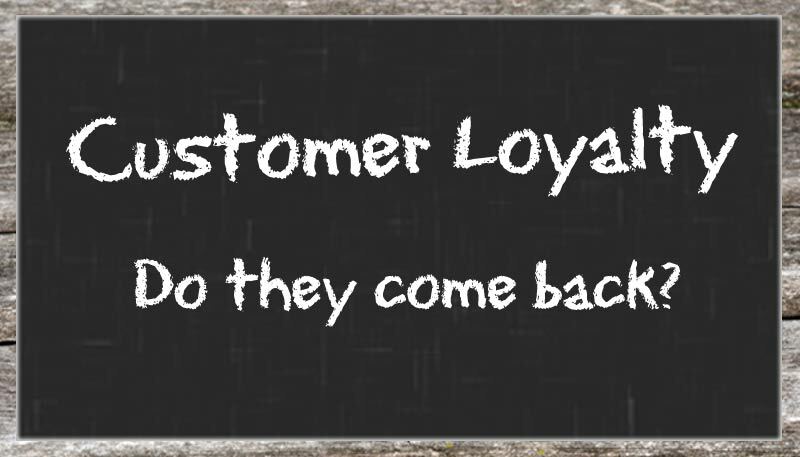 Do you have anything in place to bring the customer back to you? You may have a great product or service and that alone brings them back. If you would like to learn how to increase customer retention and even get them to spend more money with your business, contact us to schedule an appointment on how to implement the best customer rewards program for your company or business. Bring those cusomers back to you and get them to spend more money with your business.